Each morning for 5 months, Azure’s founder would wake to a warm comforting cup of pinole perched on an active volcano in Mexico. A drink for the soul she would think. A legacy from the Aztecs. Made of blue corn, pinole packs a nutritional punch. It keeps for up to 5 years and it’s VERY tasty. Pinole is also one of the secret weapons of the best ultra-runners in the world. The Tarahumara – also known as the Raramuri - are famous for their extraordinary endurance, running in ragged mountains for hours on end in sandals, carrying pinole for its high energy and nutrient content (if you haven’t already, read Born to Run, for the story of these superheroes). Unfortunately, heritage seeds like blue corn and ancient recipes like pinole, are dying out. Indigenous rural communities suffer disproportionately from migration and are hollowed out by the young leaving to find better economic opportunities. Azure’s founder witnessed this first-hand in Ozolco, San Mateo where a third are thought to now live in South Philadelphia. Migration is common in farming communities where the economy is tied to agriculture. Small-scale farmers can’t compete with the cheap subsidised hybrid corn coming from the US and flooding Mexican markets. So they go to the city to find work or to the US. Those who stay usually live off the remittances (money) sent by their relatives abroad. Indigenous farmers pass on seeds and their know-how from generation to generation. They preserve an incredible genetic biodiversity and sustain a rich ecosystem on their land. All very important things when thinking of climate change and environmental sustainability. Where does Azure fit in all this?  Azure is born from the desire to share pinole with the world and carry on a culinary legacy in support of indigenous Mexican communities. How will it do this? We work closely with our producers, both men and women, to buy blue corn at a premium price. Azure is the sole distributor of pinole in the UK and in Europe. And it is the only company that will manufacture health bars made of blue corn for gluten-free consumers, endurance athletes and anyone who wants a healthy snack at work. We believe in giving you a product that makes your taste buds tingle without compromising on the health of your gut or the livelihoods of our producers.